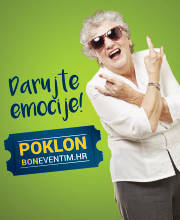 Buy tickets for Josipa Lisac at Eventim. There are no Fan Reports yet written for Josipa Lisac. Be the first to write a review and share your experience with others. Josipa Lisac is a Croatian singer and one of the biggest representatives of Croatian musical art. She is known for her original mixture of various musical genres, her unique and eccentric scene appearance and her distinguished vocal capacities. Already at her first appearance in public she provoked a true sensation in the audience: her singing sublimes all that is best from diverse musical genres, and already her first festival performance announces a coming of an extraordinary singing personality. Josipa Lisac soon becomes a unique and unrepeatable star of rock music. By developing and going stubbornly against all the conventional streams, she develops her unique style of musical expression. Her acquaintance, friendship and love relationship with the popular rock’n’roll singer and composer, Karlo Metikoš, completes her musical and life journey. Metikoš’s experience and his strong musical persona shape Josipa Lisac as a unique artist and woman. Their first joint LP album from 1973, “Dnevnik jedne ljubavi”, remains to this day one of the best conceptual rock creations and is a part of Croatian discography’s anthology. Josipa Lisac soon proves her multifold talent in the very demanding role of Jana in the first Croatian rock opera by Ivica Krajač, Karlo Metikoš and Miljenko Prohaska: “Gubec-beg”. During the year 1976 she even records a jazz album with world famous jazz musicians (Ernie Wilkins, Clark Terry, Johnny Basso…) titled “Josipa Lisac & B.P. Convention big band international”. 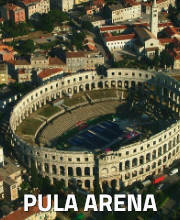 Many theater plays follow in Slovenia and Croatia, as well as many concert tours and recording sessions. She is several times the winner of the “Vocal of the year” award, “Porin” award and many others. The unexpected death of Karlo Metikoš on the 10th of December 1991, as well as a turbulent beginning of the war in the nineties, change considerably the context of her work. During the years that follow she holds a number of concerts dedicated to Karlo, the tradition of which continues to this day. 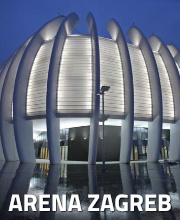 Her first collaboration with maestro Igor Kuljerić and HRT Symphonic orchestra and choir in December 1994 created truly novel orchestrations and recreated classics like “Janino ludilo”, “Magla” and “Hazarder”. They continue to collaborate in 1997 when they created a concert remix of the rock-opera “Gubec-beg”. Her last studio work, the album “Život” (Life), from 2000, was marked by a modern sound and experimenting with electronics. Various covers, collaborations and experimenting with diverse genres (even ethno music) follow. Do not miss important news about Josipa Lisac concerts in the region: Register now for the ticket alert!